Our first Summit Session is taking place on January 19th at 4pm (EST) in our private Facebook group. You can join the group here to participate live, and to have the option to watch this and future sessions at any time that better suits your schedule. 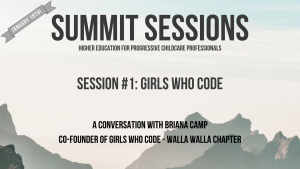 As we prepare for our session featuring Briana Camp from Girls Who Code, we wanted to take a preliminary look at what GWC is all about. 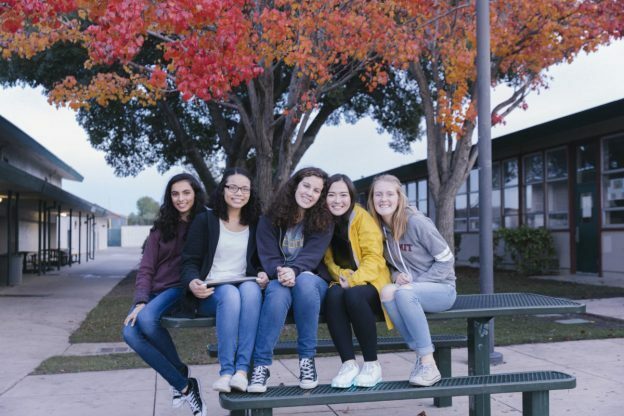 We’re sharing information directly from the Girls Who Code website and media kit, and we encourage you to check out their site for even more information. Girls Who Code was founded by Reshma Saujani in 2010. She began her career as an attorney and activist. In 2010, she surged onto the political scene as the first Indian American woman to run for U.S. Congress. During the race, Reshma visited local schools and saw the gender gap in computing classes firsthand, which led her to start Girls Who Code. Reshma has also served as Deputy Public Advocate for New York City and ran a spirited campaign for Public Advocate in 2013. WHAT DOES GWC TEACH YOUNG PEOPLE? 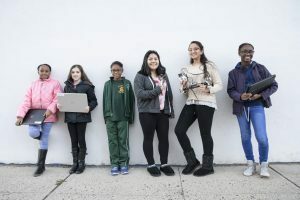 Club girls join a safe and supportive environment of peers and role models and learn to see themselves as computer scientists. 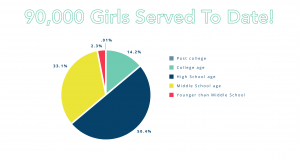 Beyond the Club, girls can tap into an alumni network of tens of thousands of girls across the country who are using computer science to solve problems they care about. Clubs learn the concepts of loops, variables, conditionals, and functions that form the basis for all programming languages –– whether they want to build a website, an app, or a robot. Returning Clubs girls can deepen their programming knowledge through extended activity sets. 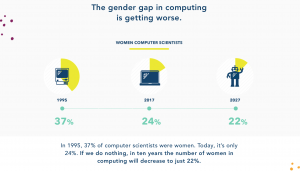 Club girls work in teams to design and build a Computer Science “CS” Impact Project that solves real-world problems they care about through code. WHY IS THEIR PRESENCE NECESSARY? WHAT HAS THEIR PROGRESS LOOKED LIKE SO FAR? To learn more about this amazing organization from one of their facilitators, join our Facebook group and tune in for our live session on Saturday, January 19th at 4pm (EST). What other great career development events have you participated in? What were the things you liked and disliked about those experiences? We’d love to hear all about them — contact us on Facebook, Instagram, and check out the other posts on the blog!